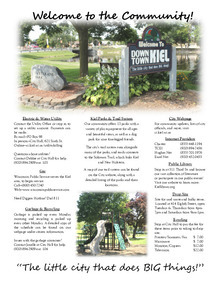 This flyer contains some quick, helpful information for new residents of Kiel. Any further questions can be answered by calling (920) 894-2909. Download "welcome to the community flyer (4).pdf"